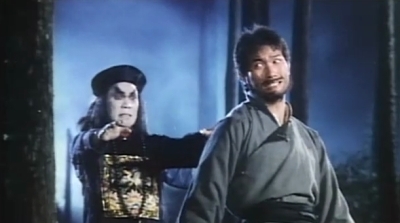 Taiwan's own hopping vampire series in the vein of Hong Kong's Mr. Vampire, the combo of director, his action-team and writing-team were responsible for a ton of special effects driven, light fun in Taiwan in the 80s and 90s. Ranging from The Child Of Peach-series, King Of Snake (re-cut with Western actors by IFD as Thunder Of Gigantic Serpent) to their live action adaptation of Dragonball Z (as Dragon Ball The Magic Begins ), Hello Dracula may not have much traction in the West but hit it big in Japan. Reportedly such a success that funding was secured for subsequent entries in the series, it also made it to the small screen as a TV-series, video games were released and even Hello Kitty was given a hopping vampire (or jiangshi) make-over. Add to the fact that little lead Shadow Liu became a breakout star and idol, leading to modeling and singing as part of an idol group among other things (credit goes to ihmissusi for this information). On top of it all, Taiwan's Mr. Vampire brings unique creativity of its own rather than riffing on Ricky Lau's classic. 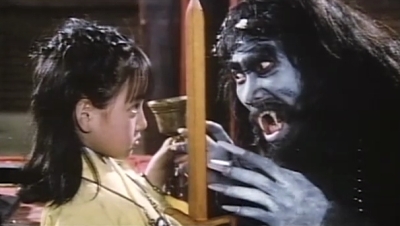 As is often the case with Taiwanese movies aimed at children, it's easy to identify the crowd pleasing elements such as physical comedy, banter, bickering, singing and in this case even a cute vampire kid to balance out matters. But what's also true for entertainment such as this is the inclusion of violence, bloodshed to a degree and as hard of a physical showcase as you'd have in a more adult oriented genre-effort. Not moods that clash in Hello Dracula but it's certainly true the physical, genre and action-elements do make the most lasting impression. 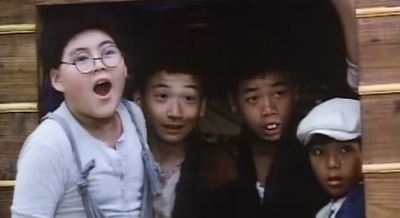 The group of orphans are not an inspiring quartet, designed according to type with one obese character, one with buckteeth and their acting in melodramatic scenes feels awfully staged but choices are easy in's for this to play to a wide audience. Shadow Liu fares better because for the rough acting that does occur in her sections, she is an original creation that is as knowledgeable and as educated as most priests in all matters handling hopping vampires. Even though the flaws in her learning shows, this is a little girl that has got a handle on the vampires currently settled in the funeral parlor as she feeds and disciplines them when not behaving. Further evidence filmmakers were merely looking at Hong Kong for inspiration rather than replicating entire scenes. After all is said and done however, it is is director Chiu Chung-Hing and his stuntmen association that shine the strongest here and their sense of energy fuels the action-scenes. There is a skilled and fun physicality on display and Chiu puts forth this demand on himself and his team in order to standout. We get superb speed within the spaces that features the exchanges between man, priests and vampires, with the acrobatic and physical nature of all involved taken up a notch compared to Hong Kong counterparts. These creatures verges on being kung fu fighters but choreography, speed (despite undercranking at points), wirework and stuntwork is rather remarkable and fun throughout. The filmmakers even feature a rather heavy tint towards explaining the variety of ceremonies performed here, that is then embodies by the design- and effects team wonderfully well, making Hello Dracula as familiar as it is unusual. It's neither desperately playing to the children's audience, adults expecting broad comedy as padding (for better or worse) nor trying to be like its more known counterpart in Mr. Vampire.